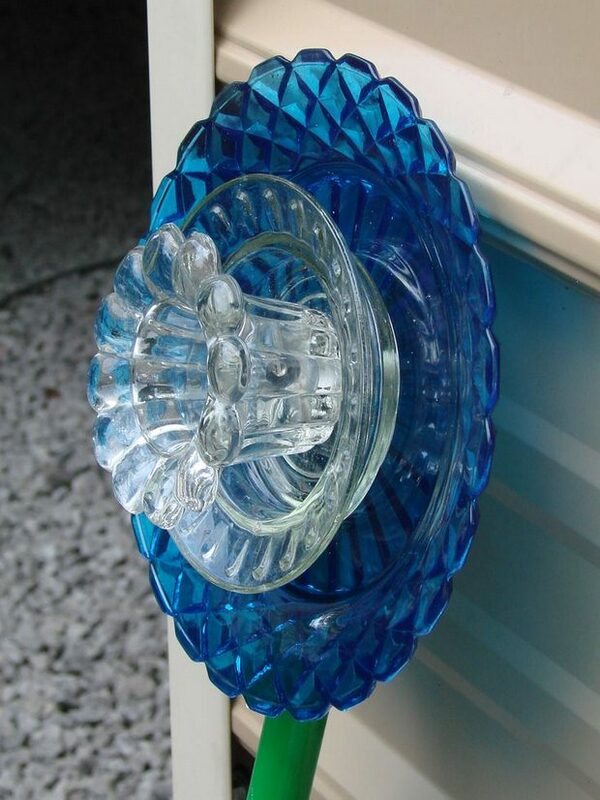 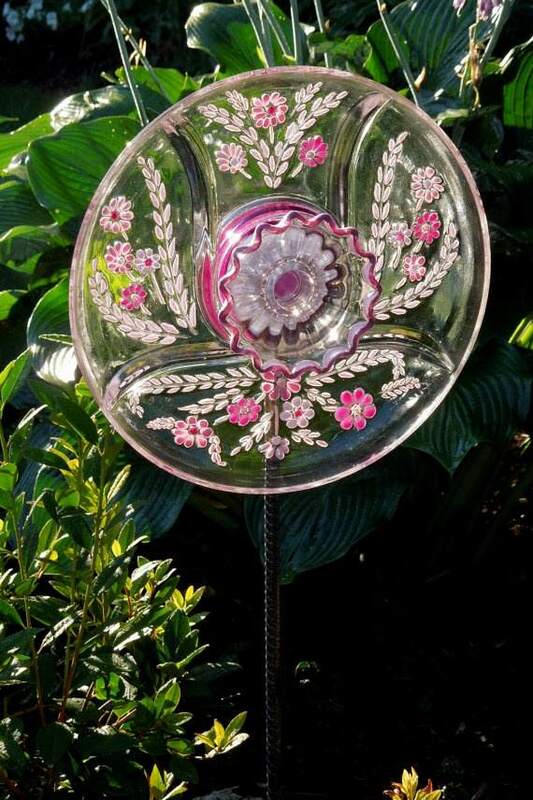 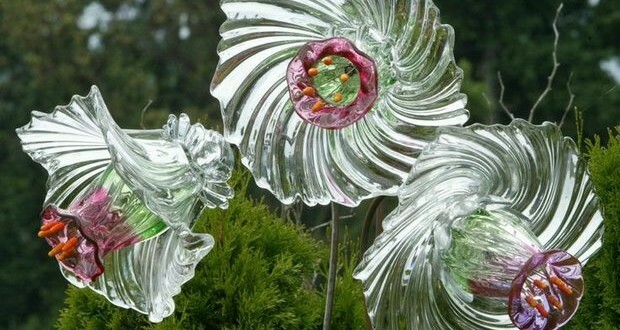 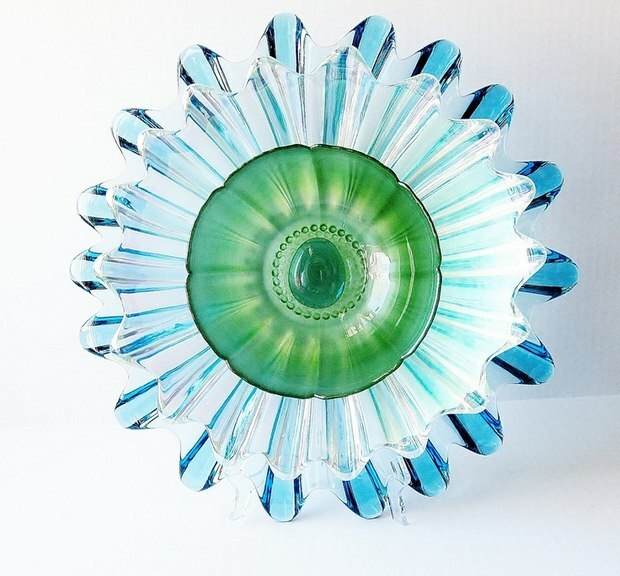 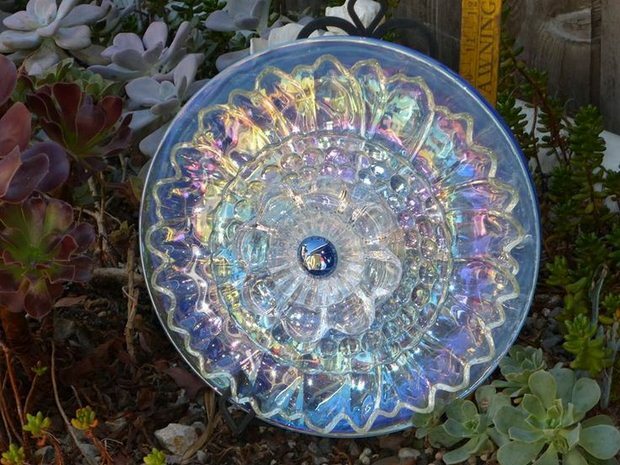 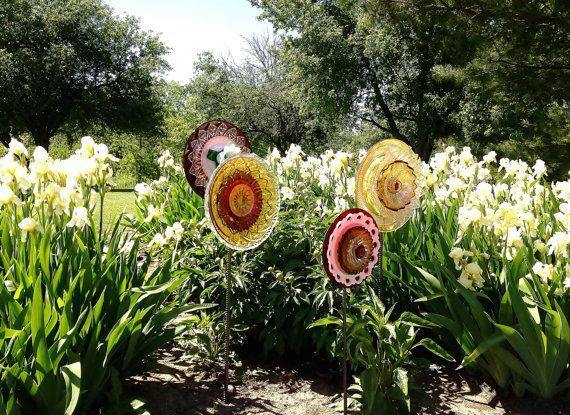 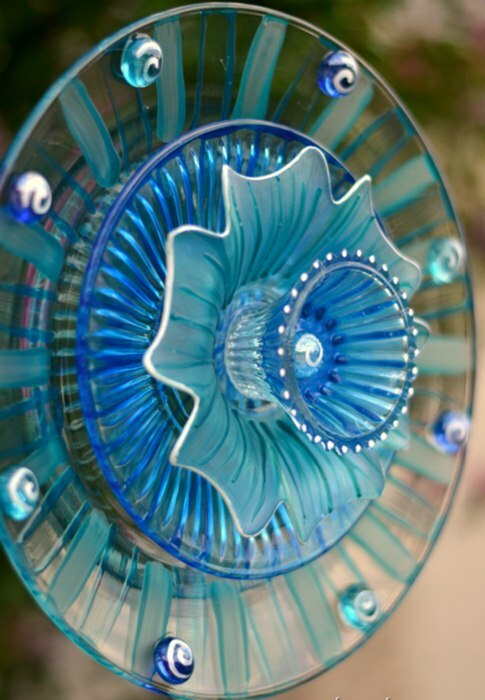 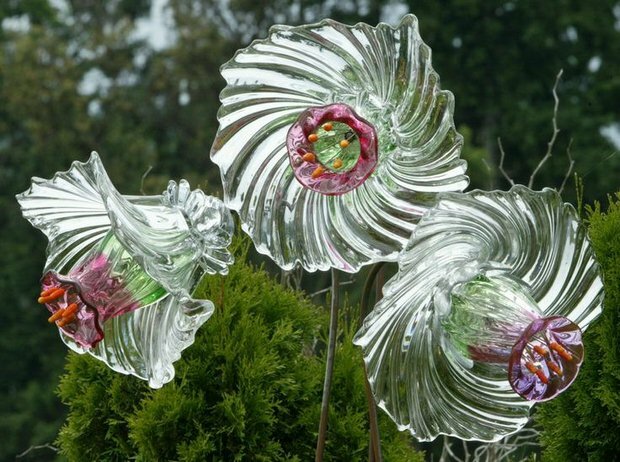 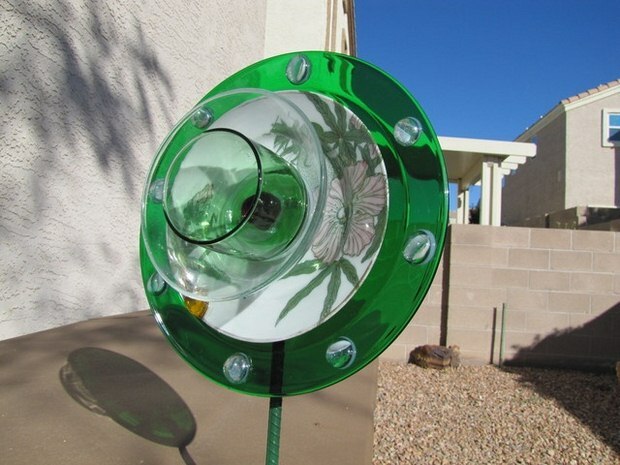 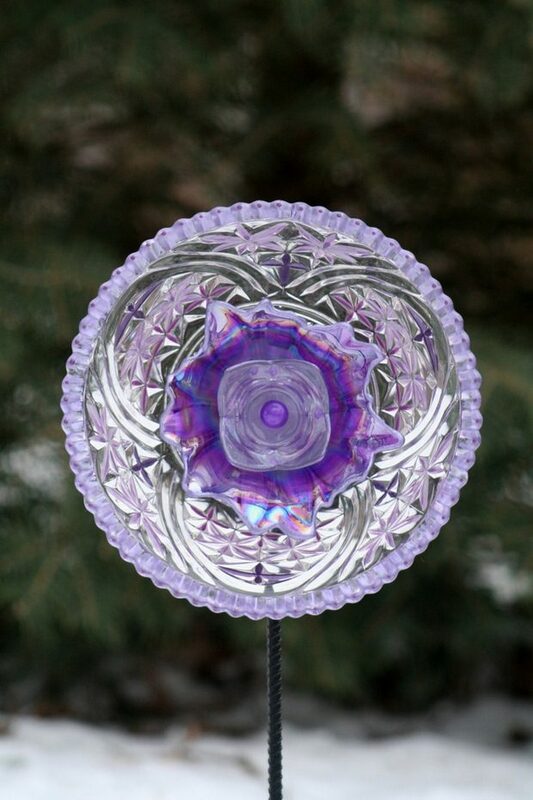 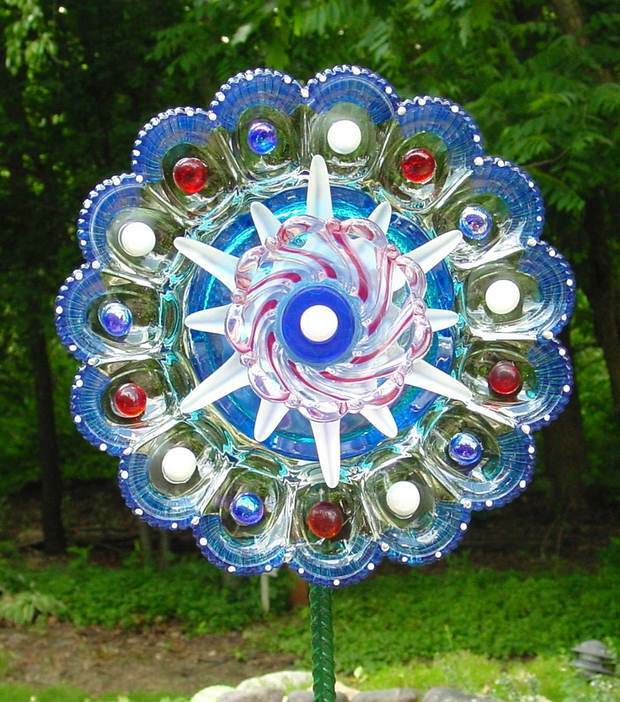 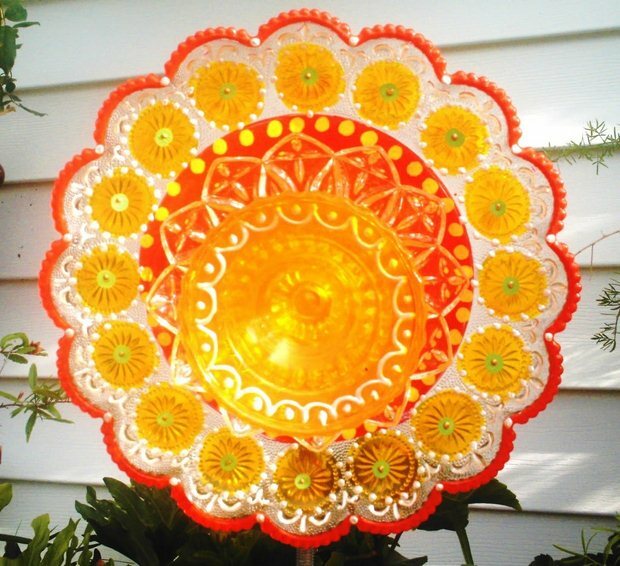 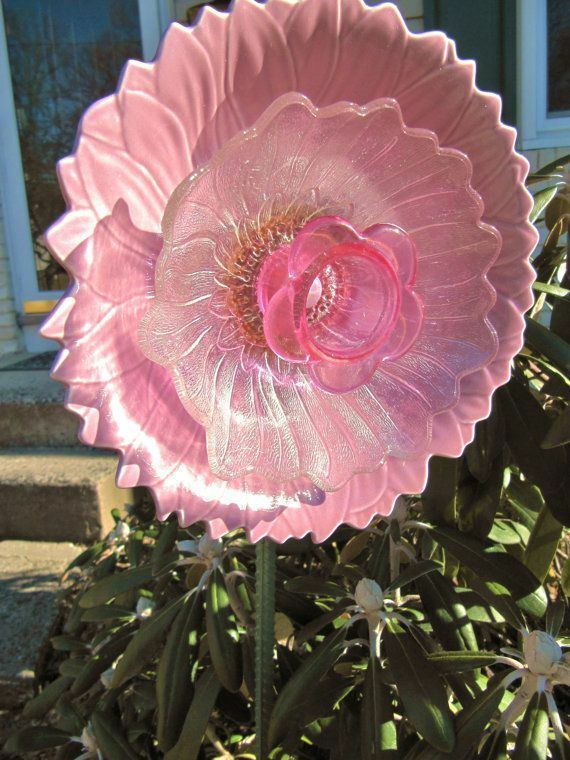 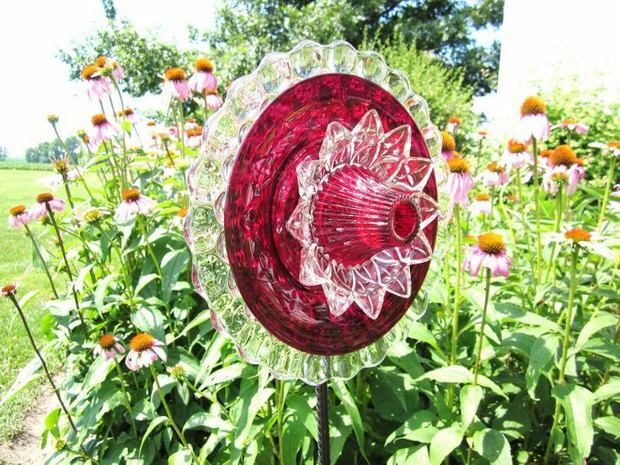 Garden Glass Flowers – Cool Creativities! 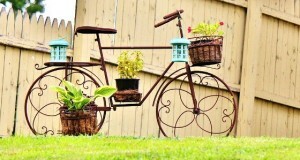 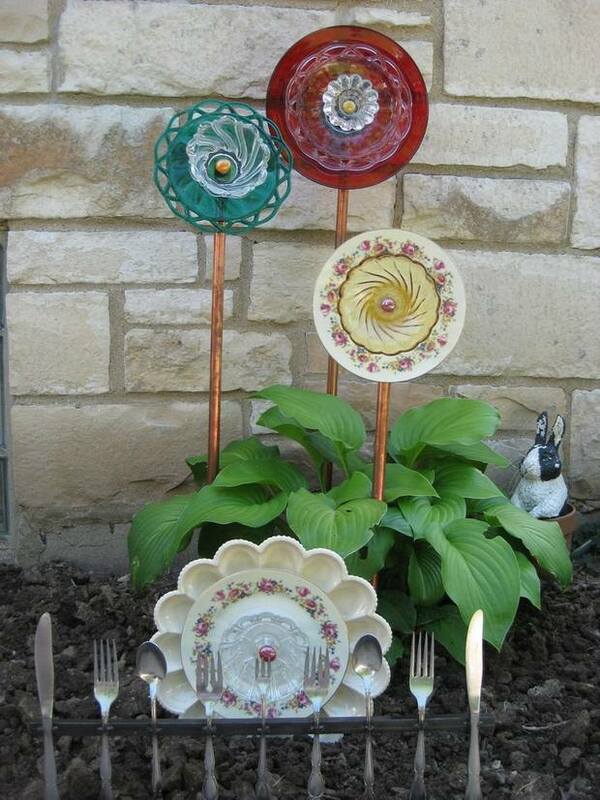 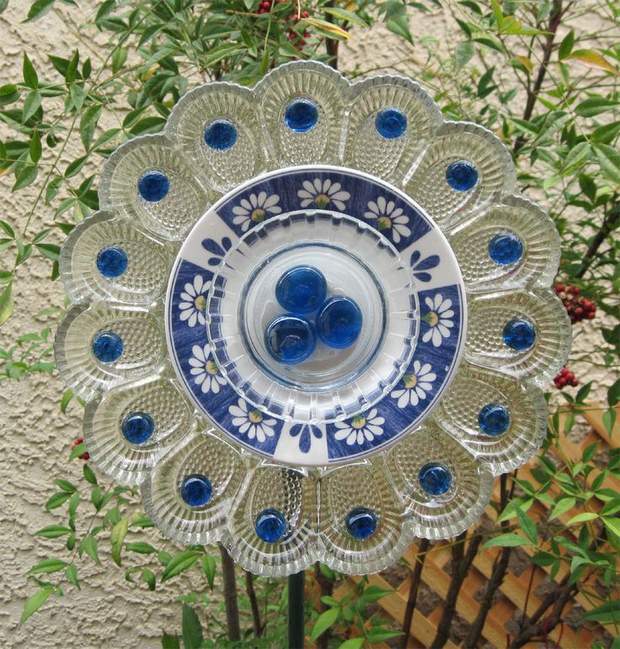 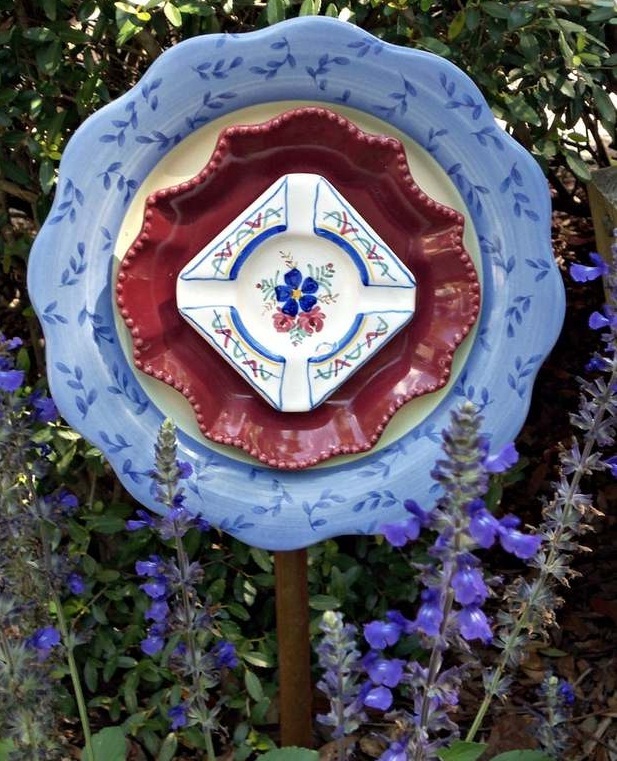 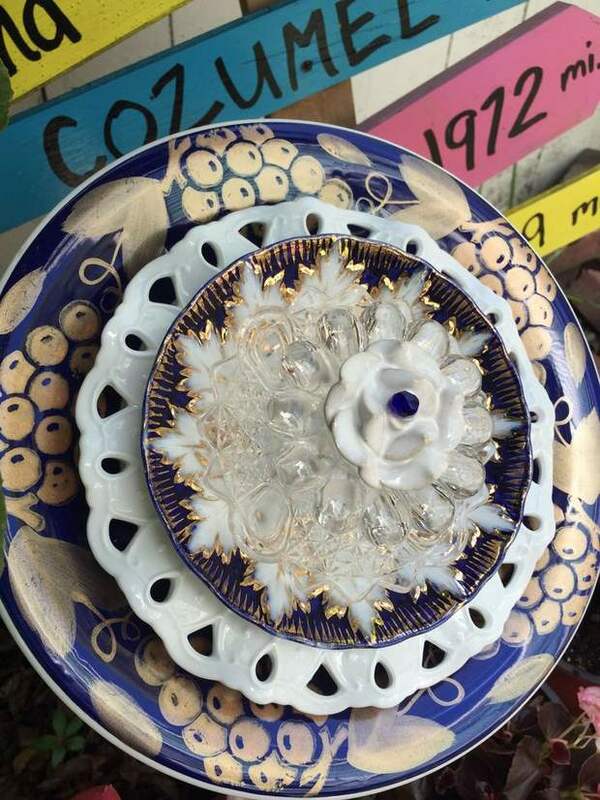 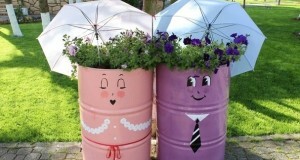 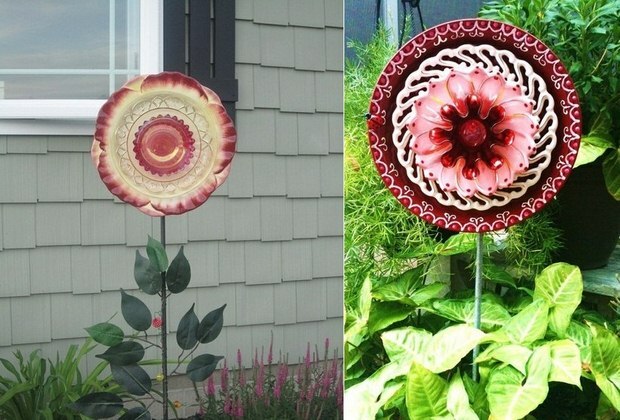 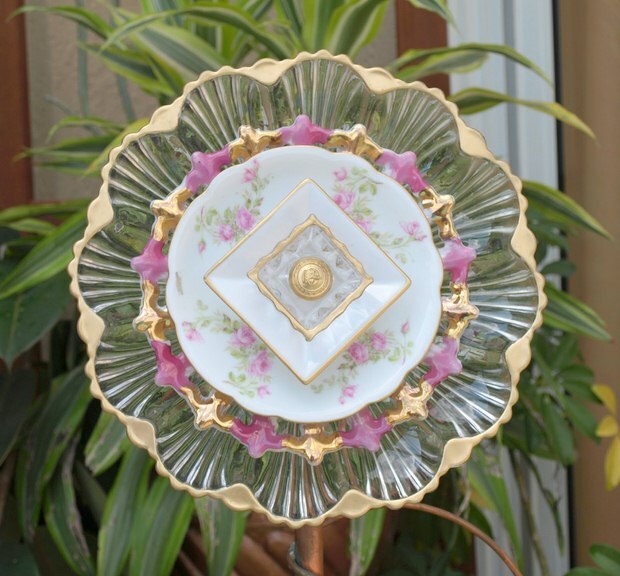 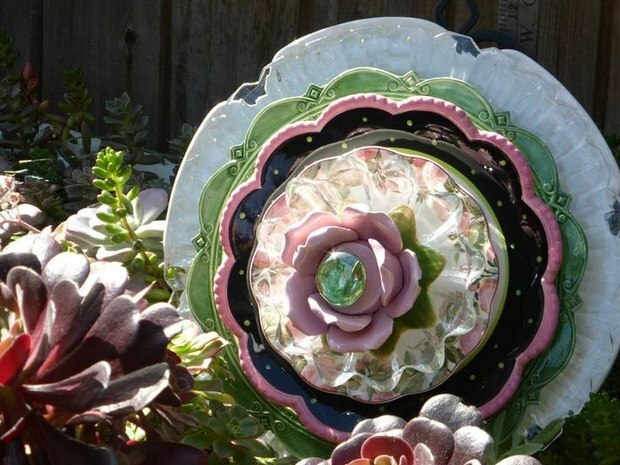 If you want to refresh your garden making it unique, lovely place where you can stay longer, be creative use plates and reused kitchen cutlery and make garden glass flowers right inside the real flowers and leaves. 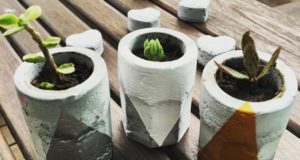 Your artificial ones will be perfect finish.